Ticks are always a concern for us in Florida. The summer time is the worst but since we have warm weather nearly year round, they can get on us or our pets anytime. 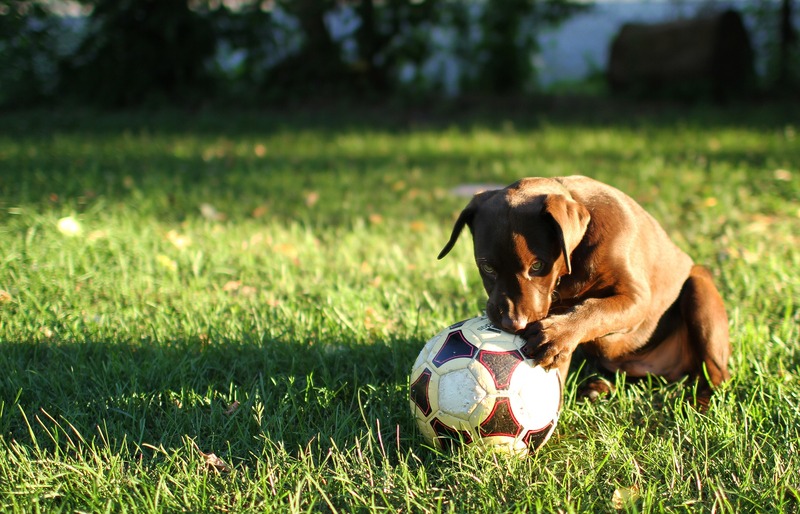 The most common way your pet can get fleas and ticks is simply from going on a walk or playing in the yard. Some of the best ways to keep these nasty creatures from your yard is to do it the natural way. This keeps your yard free from fleas and ticks but also keeps your pets safe when they go outside. Let’s get started on learning how to prevent ticks and fleas from getting in your yard and on your dog. A lot of people; vets and scientists alike, have mentioned that this is going to be the worst year for ticks. According to a biologist from Bard University, this Spring and Summer are going to be the worst for Lyme disease which we get from ticks. Living in the south, we don’t get harsh winters, or really any winter at all. This helps the ticks to survive in the heat. It’s estimated that nearly half the ticks here have Lyme disease which isn’t a good ratio at all. Ticks can also give you other diseases and nobody wants that. 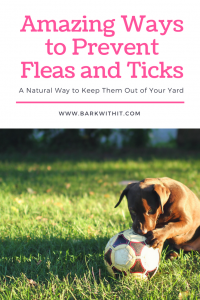 Some of the best and most natural ways I have found to prevent ticks and fleas from your yard is by either making your own natural tick repellent or purchasing one. I fully recommend using this one as it helps my yard so much to keep the ticks and fleas out. It’s good for 5000 sq. ft. and lasts up to 4 months. 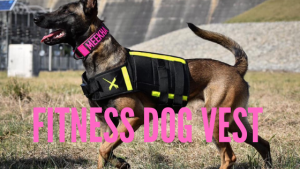 It’s a fantastic alternative to those collars for your dogs and cats to wear. A way to help them stand out is to wear light colored clothing. Another way to prevent and kill them if they are on your clothes is to change and put your clothes into the dryer on the high heat setting. Keep the clothes in for 15-20 minutes even though ticks typically die within 5 minutes of being in a dryer. Having plants in the yard that repel ticks is another great thing to do. 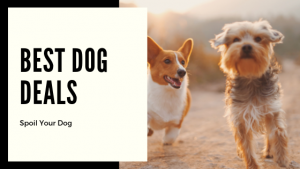 These plants include Lavender plants, lemongrass, catnip (you may have cats in your yard), sage, rosemary, and others are good options to repel ticks. Use cedar mulch or cedar chips. Ticks don’t like the smell of cedar and typically won’t cross it and will avoid those areas. You can make a border of about 2-3 feet around your fence line or plants in your yard to keep ticks from crossing into the entire yard. Doing this, creates a safe zone for your and your dog from the ticks. Chickens are another way to keep ticks from the yard. Chickens are known to eat the ticks so that will keep your yard free of them. Of course this option isn’t for everyone. You need to make sure you can have chickens roaming your backyard (fenced) in your location. Keep your grass mowed and keep it short. Ticks love to hide in tall grass where it is dark and potentially damp. Keeping your grass short will take away this hiding place for them. 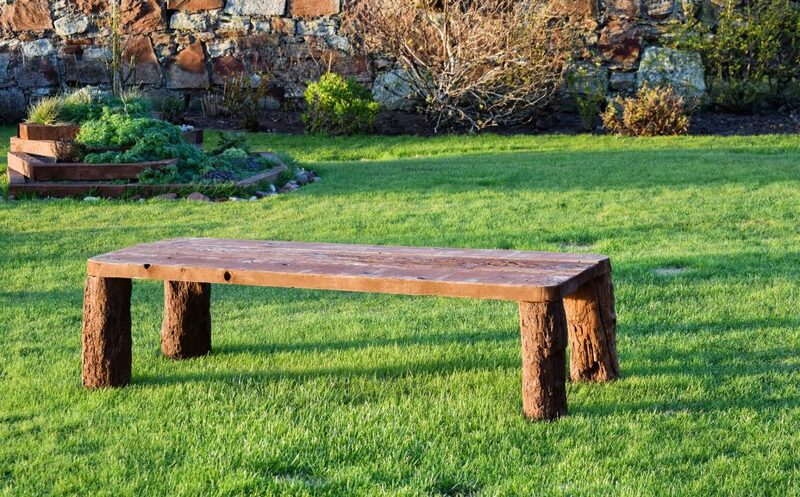 Get as much sunlight as possible in your yard. Keep trees and bushes trimmed up as the ticks totally enjoy hiding in these dark places. Any area that is shaded is a place where ticks are surely trying to hide. This is a reason you see ticks out more on cloudy and rainy days, the like the darkness and moisture. If you keep your yard full of sunshine and not too shady, you’ll see far less ticks. 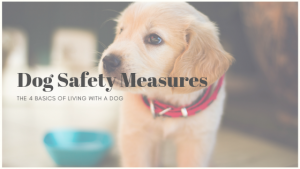 I hope this post helps you to keep ticks at bay and out of your yard. 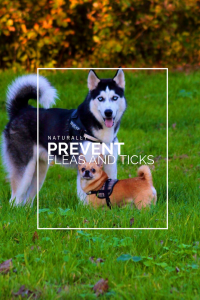 Nobody likes ticks or fleas and these methods also will help keep fleas out as well as ticks. 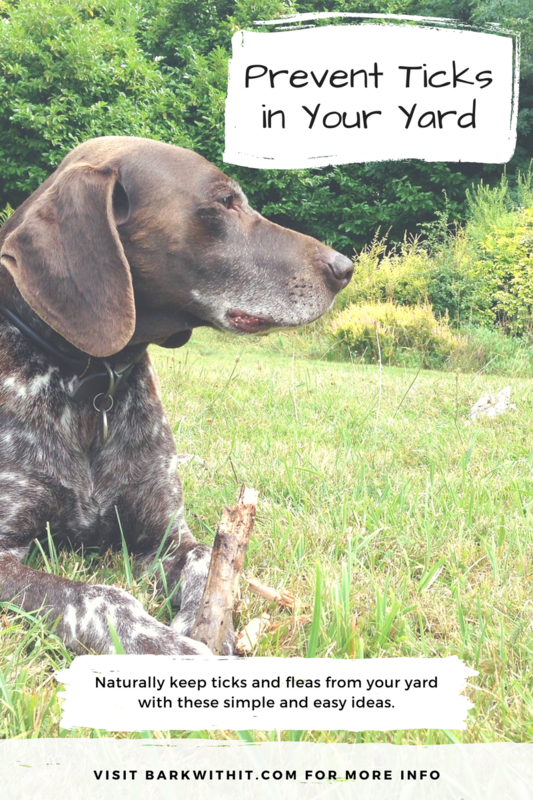 How do you keep ticks and fleas from your yard? Let me know in the comments below. Thanks for the information. Ticks are a big problem in New York too. Gotta keep those dogs safe.